A stunning pair of rare Art Deco Earrings. 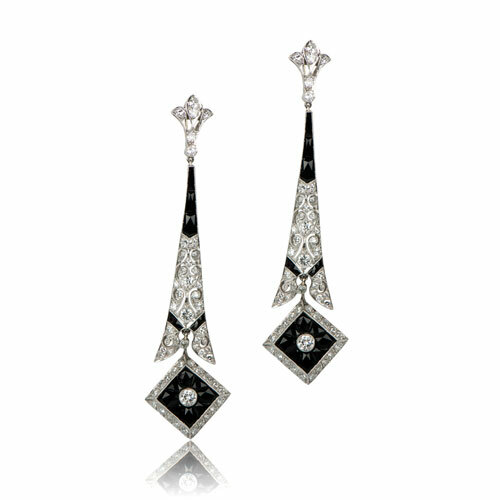 These platinum earrings are adorned with french-cut onyx, old-mine diamonds and fine openwork filigree. 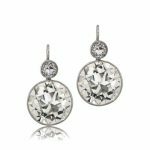 The bottom of the earrings feature a center stone that is bordered by calibre’ cut onyx and further adorned with a halo of diamonds. 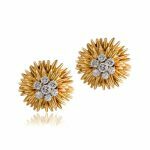 SKU: 10967 Category: Vintage Earrings - Contact us and request additional pictures.